Dr. Kelly McGuire is senior vice president, revenue management, distribution and direct marketing for MGM Resorts International, where she is responsible for strategy and execution of revenue management, distribution and direct marketing for MGM’s Las Vegas resorts. She is passionate about helping hospitality and gaming businesses infuse science into the art of hospitality with big data and analytics. She is the author of two books on analytics in hospitality, Hotel Pricing in a Social World and The Analytic Hospitality Executive. 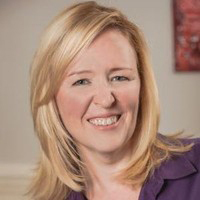 Prior to joining MGM, Kelly served as vice president, advanced analytics at Wyndham Destination Networks where she led a team of scientists and developers that built custom analytical solutions for Wyndham's vacation rental business, as well as the RCI exchange. Before joining Wyndham, she was executive director, hospitality and travel global practice at SAS, the world’s largest privately held software company, where she specialized in analytics solutions for hospitality and travel companies. She holds a MMH and a PhD in revenue management from the Cornell School of Hotel Administration.